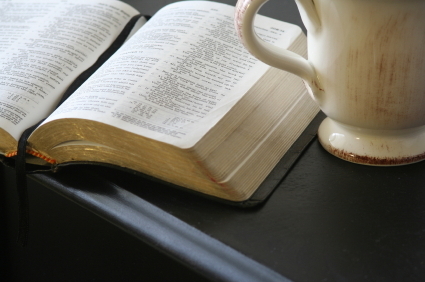 I thought I would quickly share some of the blogs that I regularly read for encouragement and Bible study, since I won’t be sending out my weekly Coffee Break Ezine any more. The great thing? Several of these writers post on Fridays! Elsa Klee at Set Apart People writes a new Bible study each Friday morning — and they’re nice and meaty! I love to copy-and-paste her posts to Word, then I upload them to my Kindle. On Saturday mornings, I snuggle with coffee and my Bible to enjoy her posts. Great stuff! Norman Willis at Nazarene Israel also writes a new study each Friday afternoon. His are also very meaty. I recommend reading his book (Nazarene Israel) first, and if you are intrigued, subscribe to his weekly updates. Christine Miller writes a Bible study almost daily. I receive them in my inbox and read them first thing each morning. Most of the time. Sometimes I fall behind…. But I save them all! Good stuff! Jenny shares frequent Updates on her blog. She’s just a mom… of 15 kids. It never fails, that when I’m feeling down and discouraged, God uses Jenny’s simple posts to remind me to put my eyes back on Him. Highly recommended! So these are my favorites! I hope you’ll enjoy… and most of all, be drawn closer to our Father! Hi, Ingrid! We’ve been up in the Cities a bit, getting ready for our move. Keep trying to call, or leave me a msg with your phone # and I’ll call you back. Miss you and love you! Oooh, thanks for the Nazarene Israel website – checking that out! It’s a good one, Jennifer!